A winter event the Cleveland Indians have held in the past which I enjoyed was Tribe On Tour. Several players, the manager, broadcasters, mascots, and the Fun Bunch made their way to a few different malls across northeast Ohio to sign autographs, allow for photographs, and answer questions from interested fans. This year the organization announced it would not be holding the mall tour. Instead, the Indians introduced Tribe Fest, a more elaborate version of Tribe On Tour held in the basement area of Progressive (Jacobs) Field. Though I enjoyed the mall tour, mainly because it was free as opposed to a $10 charge, Tribe Fest sounded much better in theory for a few reasons. First, Tribe On Tour was only held at each venue for only a few hours while Tribe Fest was slated to run for an entire afternoon into the early evening. Secondly, the main attraction for Tribe On Tour was the autograph session with the players. As a result, in addition to the short amount of time, fans had to arrive two hours before the event began to ensure a good spot in line and a timely exit. Finally, there was only so much a mall event had to offer. 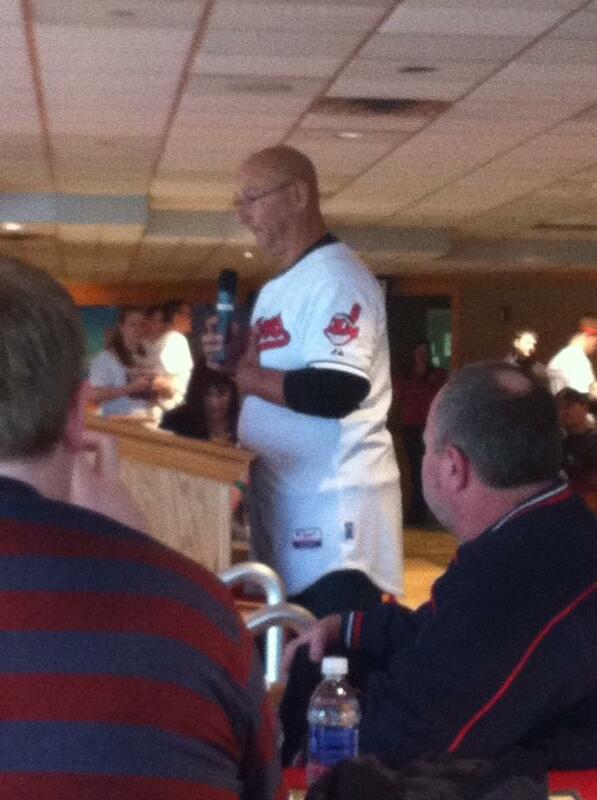 Holding the event at Progressive Field appeared to solve all of the problems I just mentioned. 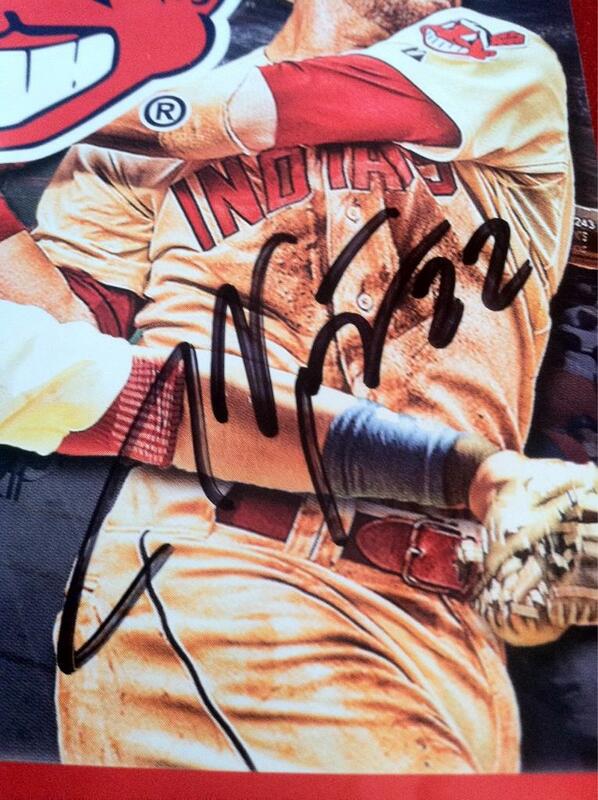 Tribe Fest boasted autograph sessions which ran for the entire duration of the event, photograph opportunities, baseball skills clinics for children to attend, and full access for self-guided tours of the Indians clubhouse. Tom Hamilton and Jim Rosenhaus conducted interviews with players, alumni Mudcat Grant and Tito Francona, and Chris Antonetti. The team barber even gave interested fans their own personalized haircuts. I purchased tickets for myself and one of my friends to attend the Sunday session of Tribe Fest. Despite hearing and reading reports over social media that the Saturday event was overly crowded and horrendously unorganized, I kept the faith that Tribe Fest would still be worth my time and money. After seeing pictures on twitter of a lengthy line outside Gate A before they were opened, my friend and I made sure to arrive more than a half hour early. Unfortunately with Sunday came an extreme drop in temperature, making for a very frigid wait. Luckily those in charge of the event made the decision to have mercy on those of us who arrived early and allowed us to enter a warmer tunnel until the noon start time. 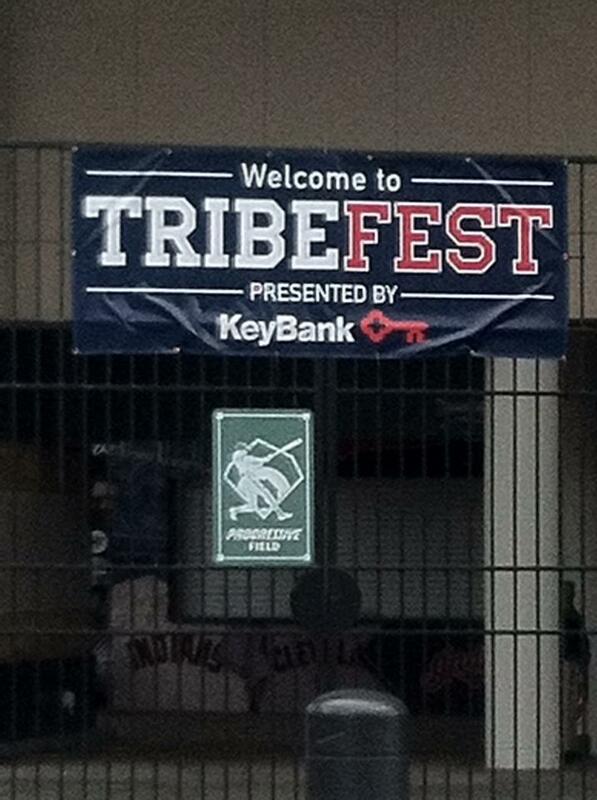 As Tribe Fest began it was clear the problems from the day before were addressed. Tickets were handed out for each autograph session as opposed to fans in attendance flocking to the area. Upon arriving to the autograph area, staff members stood by, directing attendees to a designated line. Also, to avoid terribly long lines, players listed in back to back sessions on the program were included in two sessions in an effort to prevent fans from missing their favorite players. At first glance everything seemed well organized. My friend and I quickly made our way through the first autograph session with Nick Hagadone, Corey Kluber, and Lonnie Chisenhall, who was a last second replacement for Carlos Santana, who chose to move to another session. Next we moved on to the clubhouse tour, which was an impressive sight. I came to find out why Jason Kipnis and Vinnie Pestano get along so well. 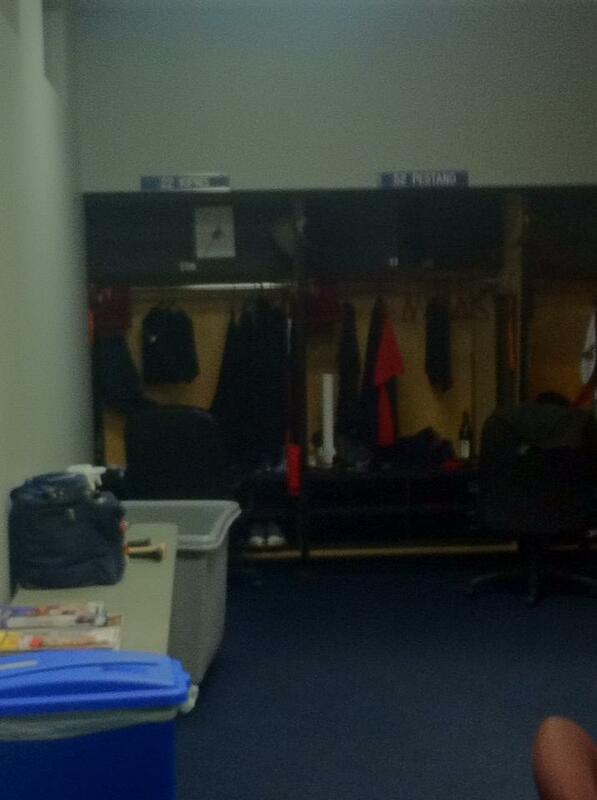 Jason Kipnis and Vinnie Pestano are locker neighbors. Thanks to my friend who holds a Key Bank card, we were allowed access to the KeyBank Lounge (the visitor’s clubhouse), which provided food and other autograph sessions, first with rookie pitcher Cody Allen and next with Jason Kipnis. I was relieved to find out Kipnis would be signing in the Key Lounge because his group session was scheduled for the same time as the Tribe Fest Tweetup, held in the Terrace Club, which I was set to attend. Kipnis is one of my favorite players and, after missing out on his autograph at Tribe On Tour last year, I was determined to get the chance to finally meet him at Tribe Fest. The Tweetup, attended by those who RSVP’d by email earlier in the week, was host to a Town Hall gathering atmosphere. 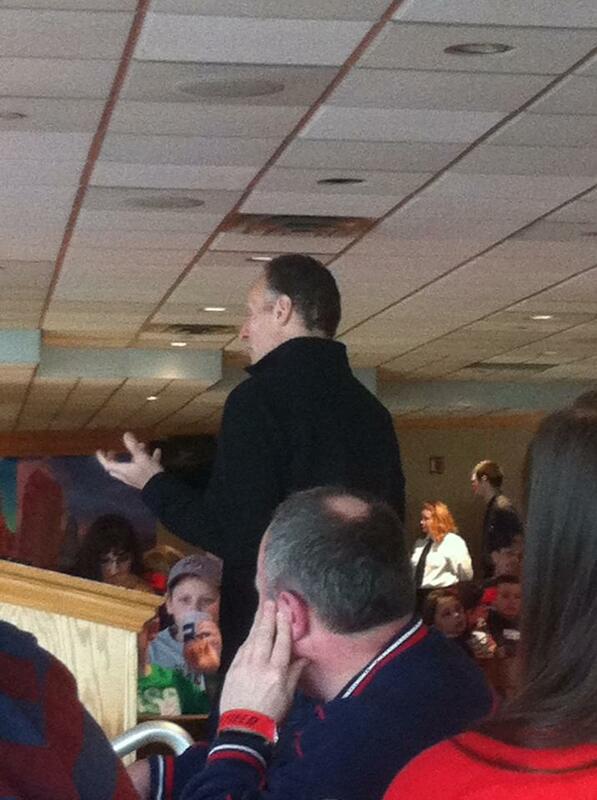 Mark Shapiro and Terry Francona addressed the crowd while fielding questions from the fans. Excellent insight was provided. In addition I saw many familiar faces from the social media spectrum and matched some new people to the twitter names as well. Overall the two men in charge of the team appeared to leave those who attended the Tweetup with a positive outlook. From this writer’s perspective, Tribe Fest was a complete success. There was something for every one of the fans to enjoy at their own pace. I did not get to experience everything the event had to offer. However, that was of little concern to me. Because I did not attend Saturday’s event, I am not personally aware of the problems that were reported by those who did. But from what I gathered from those I met who were there on Saturday, it was a distinct improvement. There were attendees who still felt the event on Sunday was too crowded. However, large crowds have never been a problem to me. I am thankful to the Cleveland Indians organization for holding Tribe Fest instead of the mall tour that I attended the last two years. It was well worth the $10 price of admission and I hope it lasts for many years to come. Another interesting and informative article.